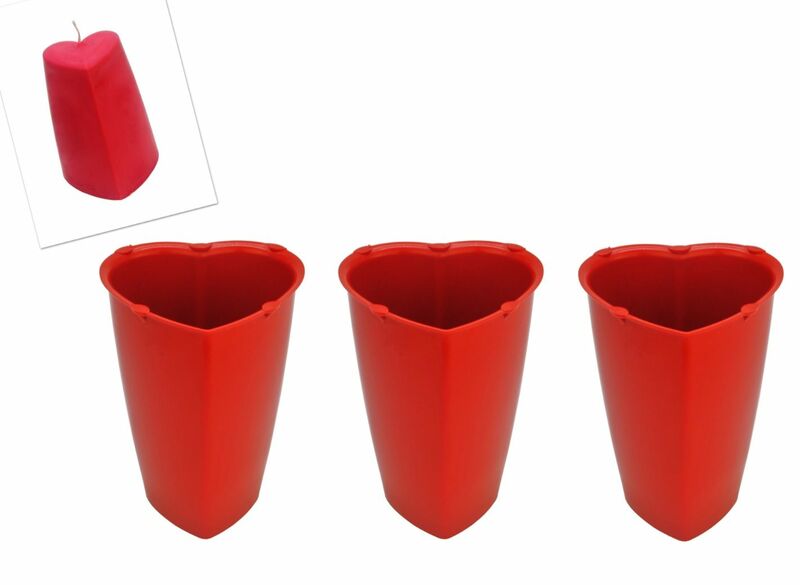 3x heart shaped candle moulds with tapered sides. 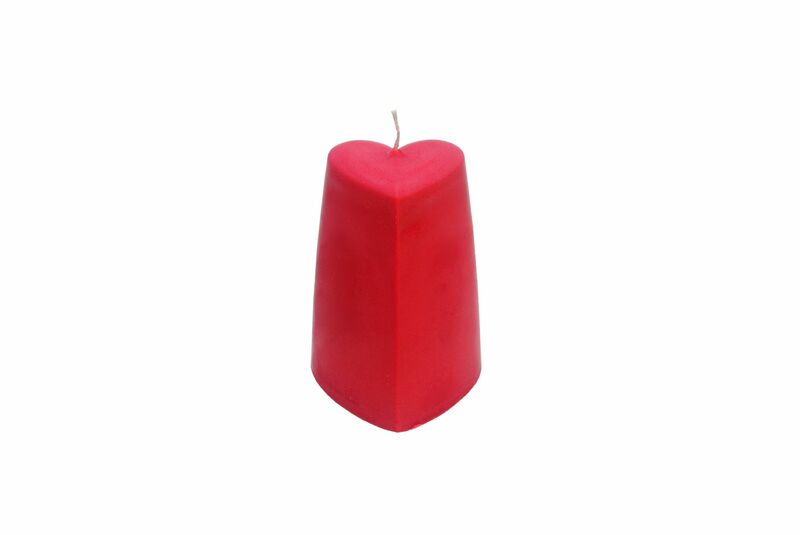 remember not to pour in your wax too hot ... pour wax in slowly. 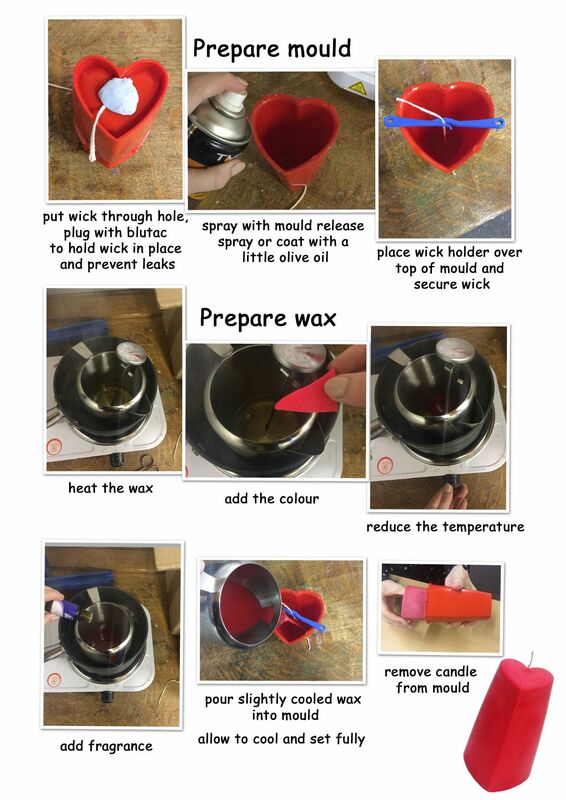 use a bit of blue tack to cover any holes this keeps the wick still and stops any extra wax escaping; you can get mould release spray from craft shops. This is good to coat the mould before you use it, but you can also use a bit of olive oil spray too. 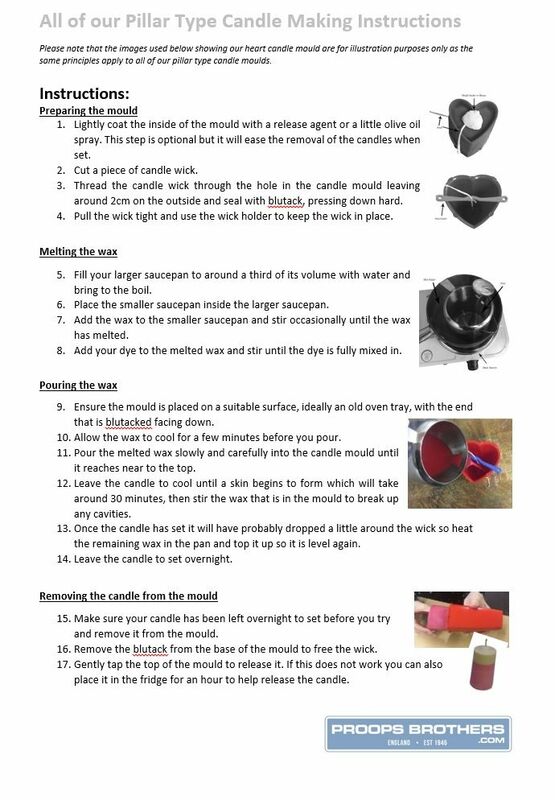 PLEASE NOTE THAT THE CANDLE DISPLAYED IN THE IMAGES ARE FOR DISPLAY PURPOSES ONLY AND YOU WILL ONLY RECEIVE THE CANDLE MOULDS. 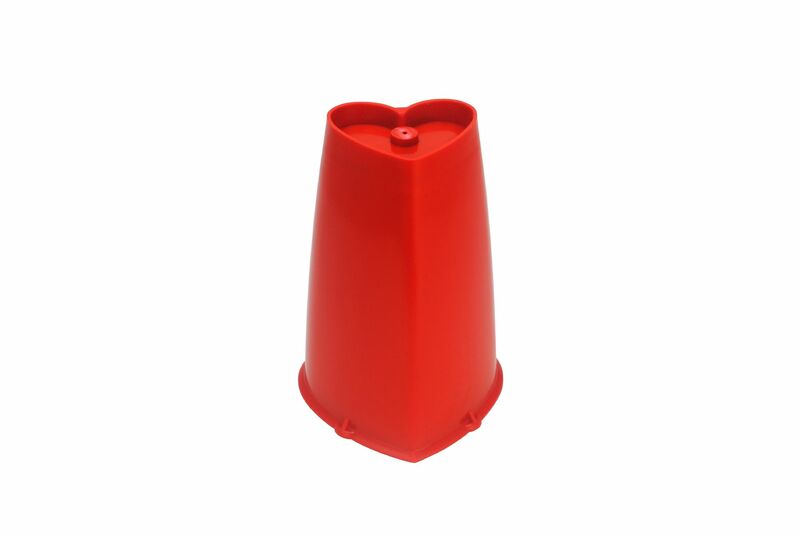 Proops Brothers have been serving this industry for over 80 years and we offer a no quibble freepost address.